You'll be amazed at how easy GIFwrapped makes finding the perfect animated GIF. In the ’90s and early 2000, animated GIFs were a staple of web design. Today, they’re still imperative to the web, but for entirely different reasons. 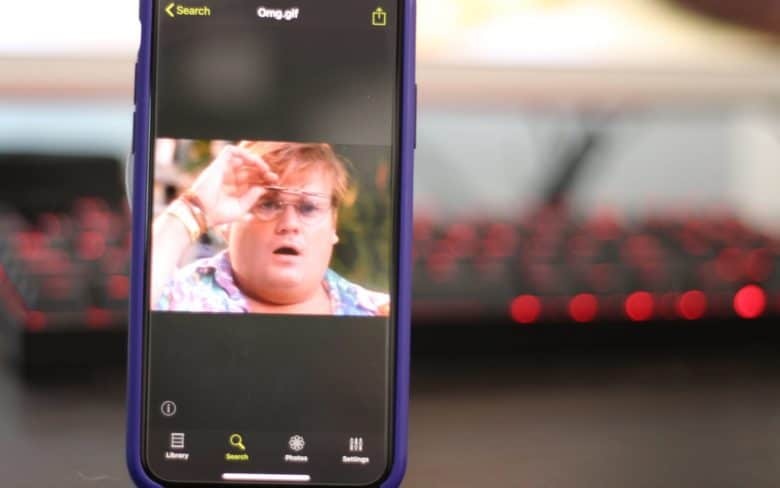 With GIFwrapped, you can search a massive database of GIFs, create a personal library of your favorites, and save the ones you find on social media for later. GIFwrapped is a GIF-collection app for iPhone and iPad, designed to make finding, saving and accessing your most used or favorite GIFs quick and easy. Unlike some GIF services, GIFwrapped is all about your personal collection. You can access GIFs through search in the app, then share them to social media or in an iMessage. You also can save GIFs to your own collection, making your favorite wacky animated images just a tap away. GIFwrapped provides an incredibly useful iMessage app, too. When enabled, you can access your personal library of GIFs directly inside your Messages conversations. Unlike the default #images app, GIFwrapped only includes your preselected library of GIFs, making it extremely quick. GIFwrapped lets you search for GIFs and add them to you personal collection. Crazy, right? When paired with Dropbox, GIFwrapped is also great for saving a backup of your choice GIFs. When enabled, any GIF added to your collection is automatically uploaded to your Dropbox account, making it available everywhere. To make that even better, the GIFwrapped action extension allows you to save GIFs from Twitter into your collection. This is perfect for saving obscure images without the legwork of trying to find and save it from somewhere else. If you rely on GIFs to communicate online, you need GIFwrapped. Anyone who ever struggled to access their favorite GIFs or needed a better system for storing their GIF collection should also give GIFwrapped a try. GIFwrapped is the perfect way to manage your GIF library. With powerful search, organization, backup and usage tools, GIFwrapped is the best GIF app on iPhone or iPad.